The first featured store is Sudden Inspiration, a shop that sells the cutest hand-crafted bags. 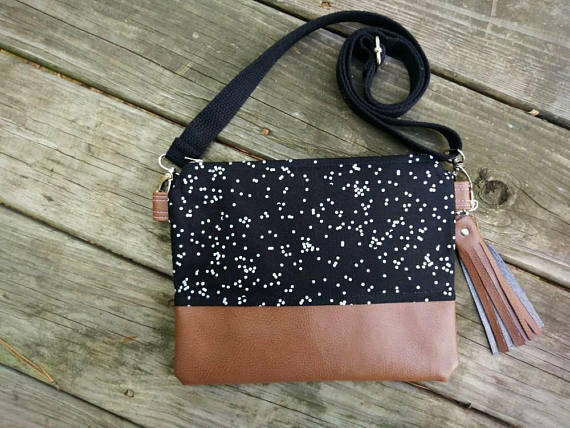 You can find everything from cosmetics bags and wristlets to roomy crossbody bags. The designs pair faux leather with beautiful prints and colors. 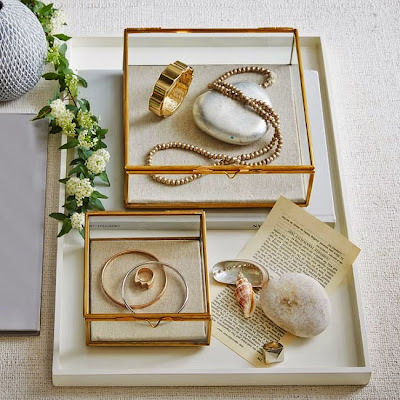 As I clicked around and noticed all of the bright florals, modern neutrals, and boho-chic tribal prints; I found myself wondering where the vision behind this brand comes from. Owner Melissa attributes the "beauty of nature" as the source of her inspiration. 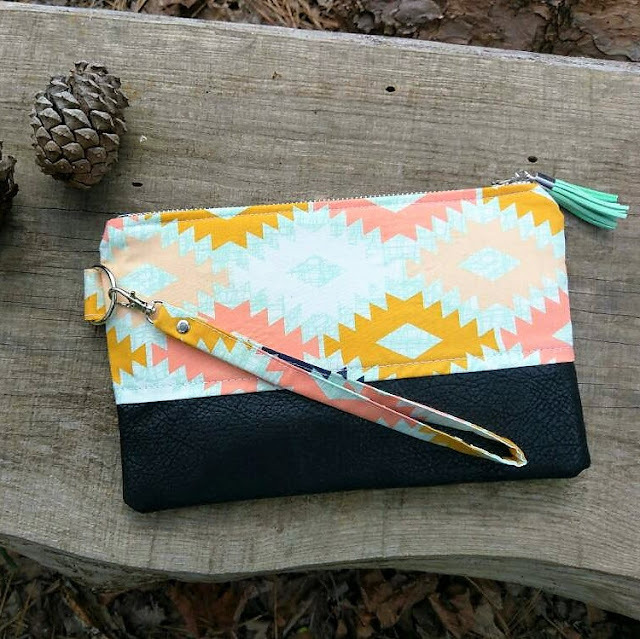 I still can't decide which I like best between all of the gorgeous prints, but one of my favorites is this Tribal Print Wristlet Accented with Black Faux Leather. When you decide on your favorite, use code INSPIRE to receive 15% OFF! Most of us could use some warming up this week. 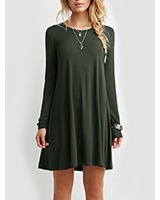 What better way than with some cozy knits or crocheted pieces. There are so many things to pick from at Weaving Genevieve, where you'll see crocheted clothing and accessories for the whole family, even for your pup! How cute is this Cuddly Crochet Pet Sweater! I love her slouchy cardigans and, especially the winter hats. But I think my most favorite piece in this chunky braided crochet scarf. When I knew that the owner's name was Kristin, I found myself wondering why is it called Weaving Genevieve? According to Kristin, "Weaving Genevieve is named after two very influential women in my life: my Grandmother and my Daughter. It is an opportunity to honor the handicraft skills my Grandmother taught me as well as provide for my Daughter." 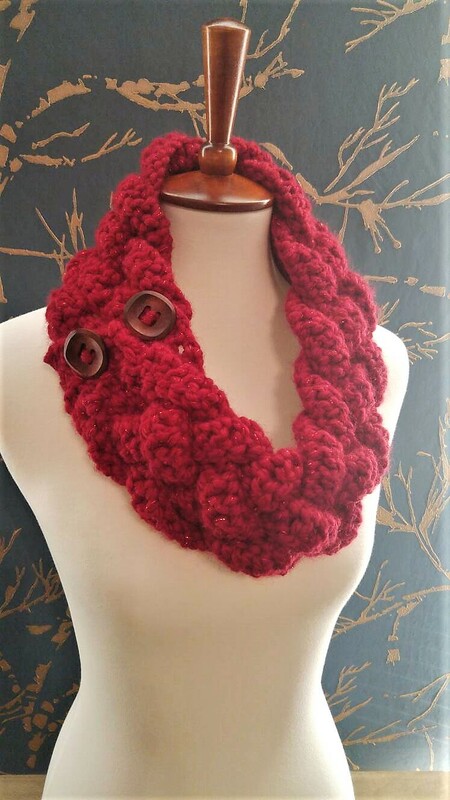 Handcrafted crochet wear has become quite trendy, and I don't think the trend is going anywhere, so it's definitely safe to invest in some quality handmade pieces! One of the biggest trends for 2018 when it comes to beauty is to cut back on artificial ingredients and move towards a more natural skincare regimen. Words like "apothecary" and "botanicals" are definitely buzzing in the world of beauty. But don't be fooled by brands that just have a few natural ingredients and try to market themselves as all-natural. 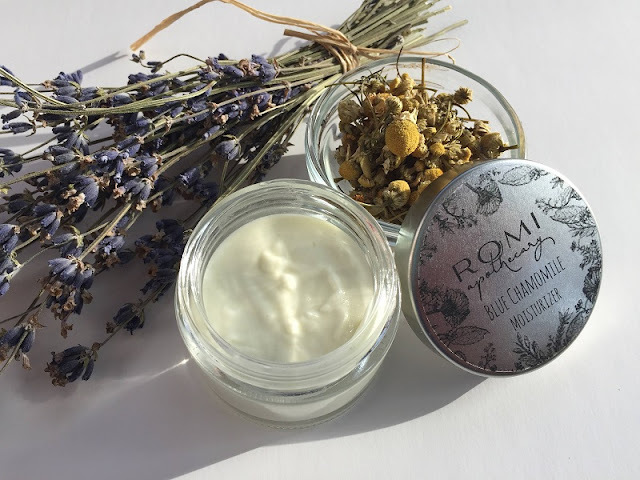 At ROMI Apothecary you'll find truly all-natural skincare products that are mostly organic. Products like this Blue Chamomile Face Cream with Calendula and Elderflower and the Brilliance Skin Serum contain so many natural and beneficial ingredients including frankincense, evening primrose, lavender, shea butter, aloe vera, vitamin E, and almond oil. 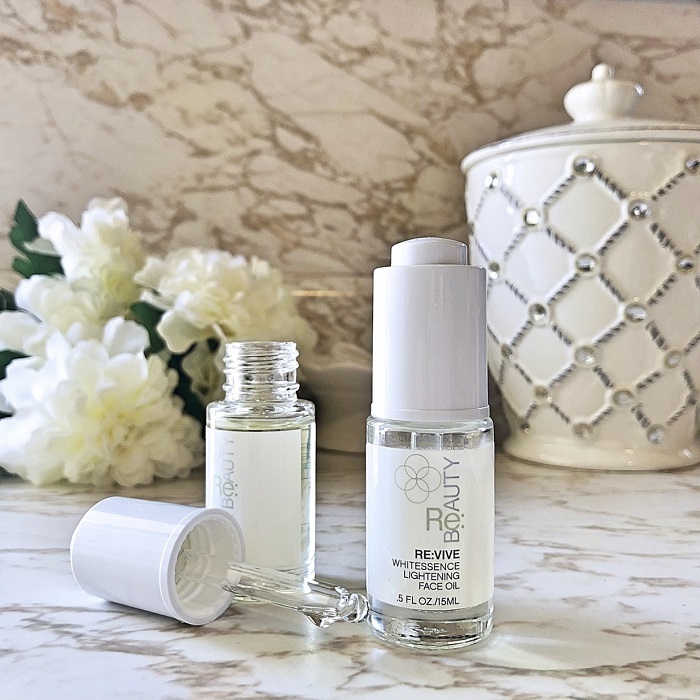 Romina, the founder at ROMI Apothecary "is dedicated to creating products that are non-toxic and healing to the skin through the use of premium, mostly organic ingredients, from renewable and local sources whenever possible. Each product is intentionally formulated to sustain the living components of the ingredient, without extensive processing, and to maximize their benefit to the skin." It's the perfect way to get your beauty routine off to a fresh start this year! In the world of home decor, one of the top trends I keep noticing is embroidery! I always love to mix in interesting wall decor, in addition to simple framed prints. I think a few pretty embroidery hoops are just the thing for some added interest. 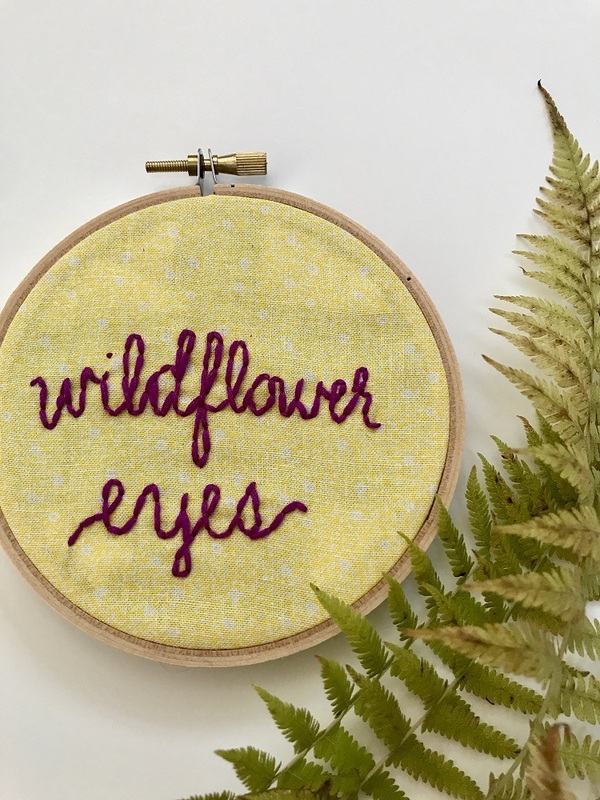 At Lettered & Lovely Co. there are several pretty embroidery hoops to pick from, though you can also place a custom order, which is perfect for a sentimental Valentine's Day gift! As I looked at the different hoop designs, I found myself wondering where this shop gets its inspiration as well. Owner and creator Meagan says, "Lettered & Lovely Co. is inspired by everyday beauty -- finding joy in short beautiful phrases of inspiration or the potential to make a room beautiful with small touches." Shop here > or on Etsy >. Bookmark the shop and stay tuned for a Valentine’s Day Sale at the end of this month, from January 31st to February 4th! 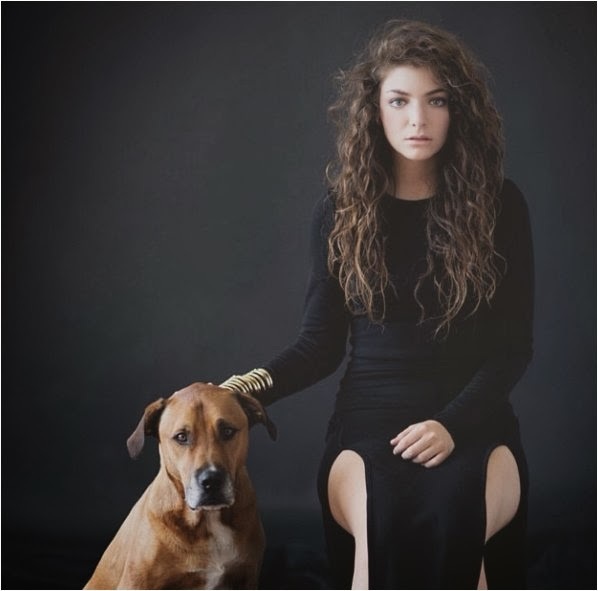 Of course what could be more on-trend right now than self-empowerment! Between the new year and the women's movement, I'm seeing all of you boss ladies out there, and I think it' safe to say that we are more motivated than ever. 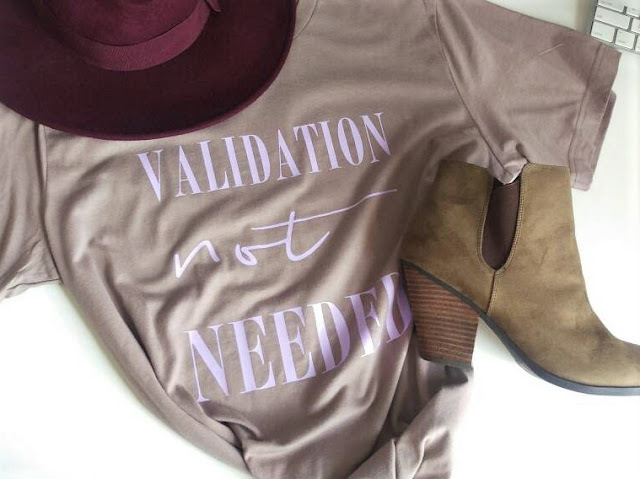 This Validation Not Needed Tee is my top pick at Zeina Blue. "Living in a 'seeking for approval' society, we are guilty of wanting to seek the approval from others by having them 'like' or 'validate' a picture, thought or idea." Owner of Zeina Blue, Victoria, wants you to know that you can "be your own cheerleader!" That is something I had to learn as I started to seek more of what I wanted for my own life. I had to be okay with knowing that I was happy with myself...that I approved of what I was doing. When you learn to be satisfied with that, you really don't need approval or validation from others. My other product pick from Zeina Blue is this Makeup Face Large Canvas Bag because, well, it's so cute! It's the perfect size for the gym or for a weekend bag. Shop these picks and other chic items at her Etsy shop for now, and keep your eyes peeled for the new website coming soon! 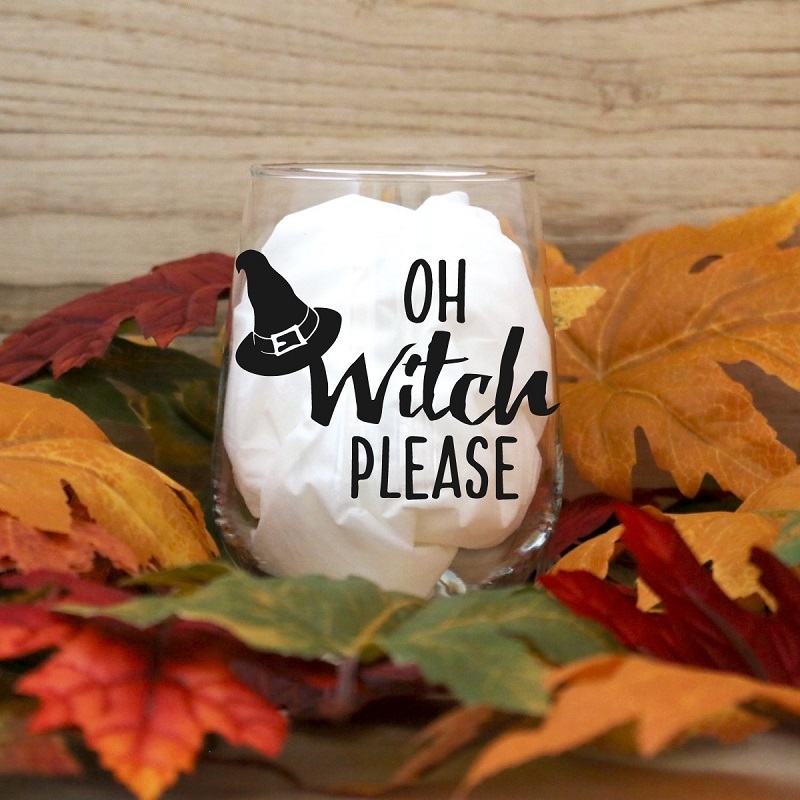 As I said, there are so many great items in each of these stores, so you can browse them one by one using the links below. I hope you all stay warm and have a very lovely weekend! They are, aren't they? She's got the best prints! All these are lovely! cute too. Even I am making the conversion to safe beauty and natural! It only makes sense. And the hand embroidery is so cute! Me too...it's just so much healthier. I have a few favorites that aren't all-natural, but as much as I can, I like to use natural beauty care.